Orchids International range of stack-nest container with Lid helps in improving productivity and reduce distribution costs in Retail, Apparel and industrial applications. It is designed for both automated and manual handling. When nested, the containers save up to 65% in return transport. 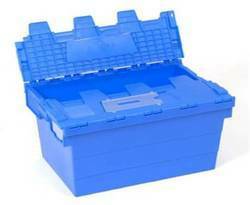 Since Nestable it occupies less storage space as compared to stackable containers. 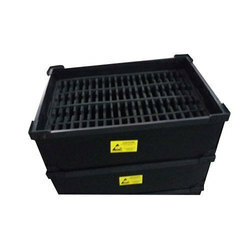 Orchids International has recently introduced ESD crates & Bins which find application in all EMS organization for storing critical electronic components and assemblies. Blended from the finest Raw Material our ESD Crates provide superior finish apart from strength and importantly have permanent Conductive property.